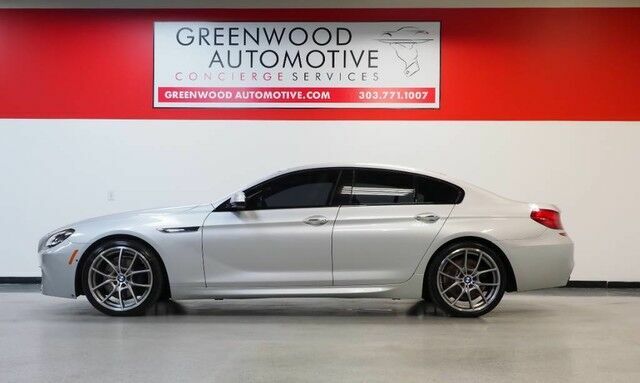 BEAUTIFUL M SPORT 650i xDRIVE, LOADED WITH BANG AND OLUFSEN STEREO, ALL THE TECHNOLOGY INCLUDING PARK ASSIST, LANE DEPARTURE ASSIST, ADAPTIVE CRUISE CONTROL, COLD WEATHER PACKAGE, HEATED/COOLED LEATHER INTERIOR, BLIND-SPOT ASSIST, SUNROOF, UPGRADED WHEELS AND TIRES, UNDER 50K MILES, CLEAN CARFAX, PRICED THOUSAND'S UNDER RETAIL BOOK! LEGENDARY BMW DRIVING EXPERIENCE COUPLED WITH AWD AND ALL THE SAFETY FEATURES YOU COULD ASK FOR! COME CHECK THIS ONE OUT! WWW.GREENWOODAUTOMOTIVE.COM for all Photos Our Dealer Handling fee of $499 is included in our advertised price. Government fee's and licensing are additional costs. For best service and to check availability or to set an appointment to see and drive call Steve direct at 720-339-1516 or Marc 303-552-7909 For more information. FINANCING AVAILABLE. TRADES WELCOME. *VEHICLE IS FULLY INSPECTED BY OUR MECHANIC. We are located 4 Blocks West of I-25 on North side Of Arapahoe, Behind US Bank at Syracuse St.